In collaboration with WeWorld Tanzania, a branch of an Italian Organization, SHIPO is implementing the “Mawengi, Mlangali and Milo Integrated Education (MAMMIE) Project 2014-2017. 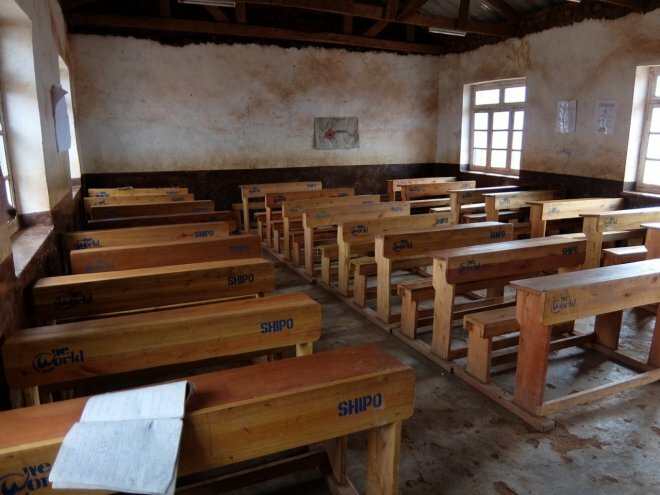 The project aims at improving the quality of education in 20 primary schools in Ludewa District, Tanzania. MAMMIE stands for Mawengi, Mlangali and Milo, this is an Integrated Education Project which aims at contributing effectively to the development of quality education in 20 Primary schools in Ludewa District, South of Njombe Region in Tanzania. The main objective of this project is to create conducive learning environment for about 1,000 Pre-Primary school pupils, 6,500 Primary school pupils and 188 Pre and Primary school teachers. 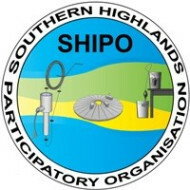 In 2014 SHIPO (Southern Highlands Participatory Organization) started implementing the MAMMIE project in collaboration with WeWorld Onlus, which is a branch of an Italian Organization.
} 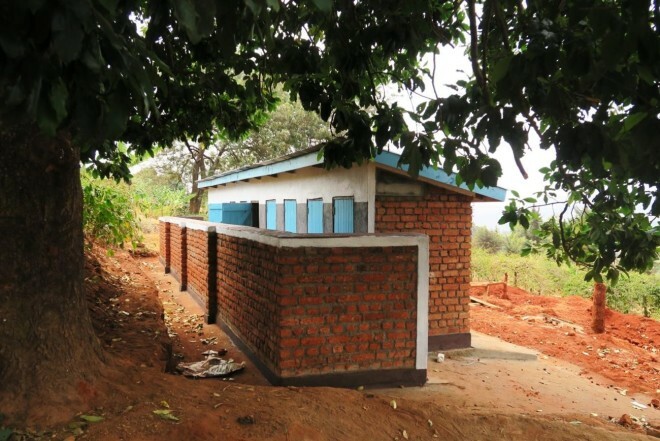 All schools are provided with adequate water, sanitation and hygiene facilities, along with hygiene education.
} Raising teachers, parents and pupil's awareness on the principles and practices for good nutrition and healthy eating.
} Improve teachers, parents and pupils (especially STD 6 &7) awareness on HIV-AIDS, reproductive health, child rights and gender. To achieve the above-mentioned objectives, we designed an integrated approach which encompassing software and hardware interventions. HARDWARE INTERVENTION: This include construction of schools building i.e classrooms,latrines, dinning halls and kitchens. Not only that but also provision of equipment/ teaching and learning materials to the schools i.e. books, furniture and other tools. Despite higher pupils' enrollment in primary schools in Tanzania, the country is still faced with problem of inadequate infrastructures. This has a huge impact on improving the quality of education especially in rural areas, which is one on the main objectives of this project. As part of the implementation MAMMIE project works on construction and rehabilitation of different school buildings. The table below shows the number/type of school buildings constructed/rehabilitated by January 2017. Shortage of textbooks and other teaching/learning materials has affected education sector. In an initiative aimed at providing quality education to Pre and Primary school pupils which is the main objective of this project we come up with the learning/ teaching materials provision scheme. This initiative seeks to counter the shortage of resources in the 20 schools that we we are working. The table below outlines the type/number of material provided to January 2017. Improving sanitation is crucial because children's ability to learn may be affected by inadequate of water, sanitation and hygiene conditions in several ways. As a result of that, pupils can be exposed to contaminants that cause them to suffer from different disease thus will definitely affect their school attendance and performances. We have worked on improving/constructing water supply, sanitation and hygiene infrastructures to make sure that all the 20 schools have access to the above mentioned services. 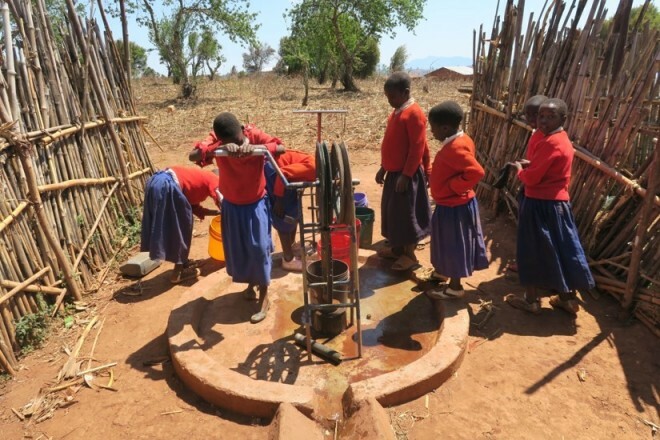 We installed 6 wells fitted locally produced pumps in Mapogoro, Mavala, Ikalo, Madunda, Mawengi and Milo Primary Schools. And 1 rainwater harvesting system is finalized in Kitewele. 1. TEACHER'S TRAINING AND SUPPORT. Great teachers help create great pupils! We train and support teachers, school managements and schools committees,because teachers are expected to use the best practices and strategies to improve the quality of education. If teachers are well trained and highly motivated, learning will be enhanced. For that reason, we have been conducting different training to school management, teachers and school's committees to help improve teaching methodologies and techniques, as well as school management skills. To provide tools, knowledge and motivation to head teachers and selected members of school committees. This training also explored the role and the responsibilities of school committees. To provide teachers with tools, techniques and motivation on providing quality education to pupils at Pre-primary levels. The focus was on learning by playing approach and in the use of Montessori teaching aids. 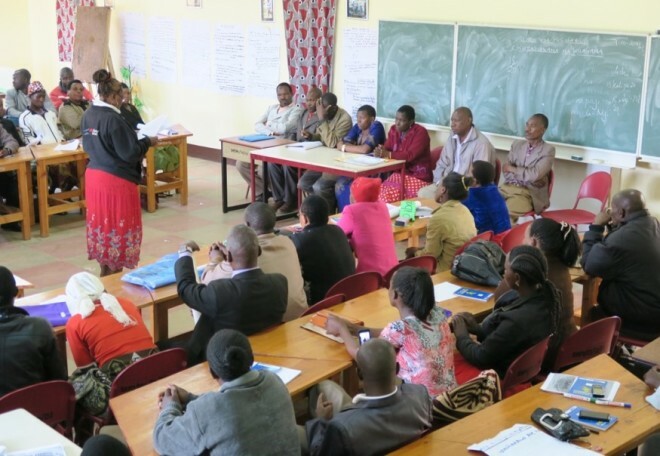 The objective of this training was to identify topics under the Tanzanian primary education syllabus which teachers find more difficult for teaches to teach then enable them. The objective was to help female pupils understand basic hygiene issues during menstruation while at school/home. To also encourage teachers/ family members to support girls attend school during their menstruation. At this level, we evaluate how far trainees changed their behavior as a result of the training they have been receiving. Specifically, this looks at how trainees apply the knowledge. We did an awareness raising campaigns during GLOBAL ACTION WEEK in girls right to education. Creating awareness raising song and re transmission of especial radio programs. In the end, we expect to obtain better learning and teaching environment in all beneficiary schools as well as to improve both the quality of education services and academic results of the pupils. 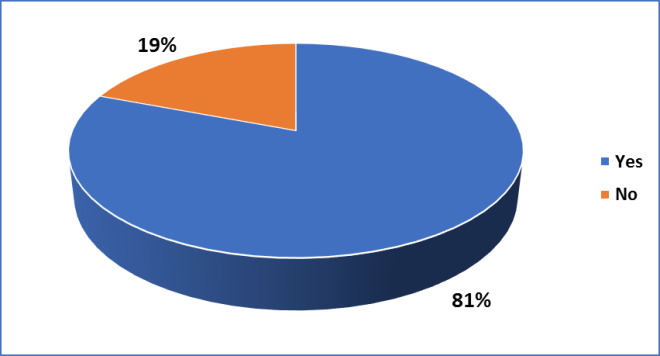 Some achievements are explained on the graphs below showing the National Examinations Council of Tanzania -NECTA results in the schools we are working since 2014- 2016. The graph below shows standard 4 NATIONAL EXAMINATION COUNCIL OF TANZANIA (NECTA) RESULTS when we started working with the 20 schools in 2014– 2016. 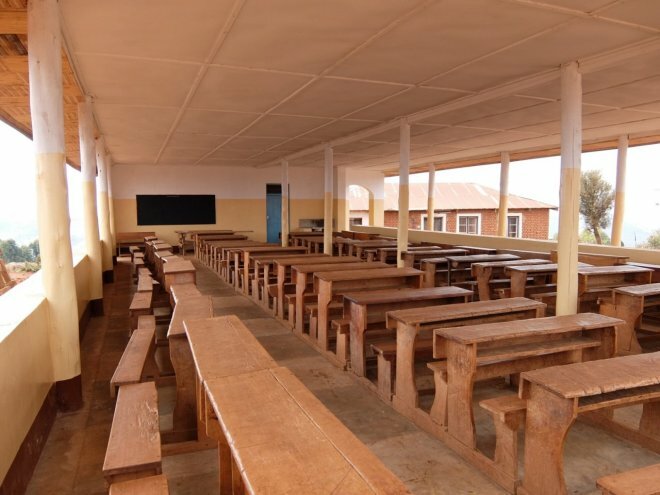 The schools referred as old are the schools We world worked with when they started implementing the project in 2010 with another international organization known as ACRA. By then they only worked with 13 schools. In 2014 We world started implementing the MAMMIE project in collaboration with SHIPO with the 13 old schools they used to work with, also added another 7 new schools (referred as new schools) to the project which makes a total of 20 schools.